For an "entry level" system, the BLX24R/SM58 sure gives you more bang for your buck than any other system in this price range. The BLX4R receiver has a high-res LCD display that gives you tons of useful information like RF signal strength, audio signal strength, frequency group and channel, and TV station channel in use. The receiver also has a battery indication light to let you know your battery is about to die. If the light is green, you've got plenty of juice. If it turns red, it's time to replace the battery. 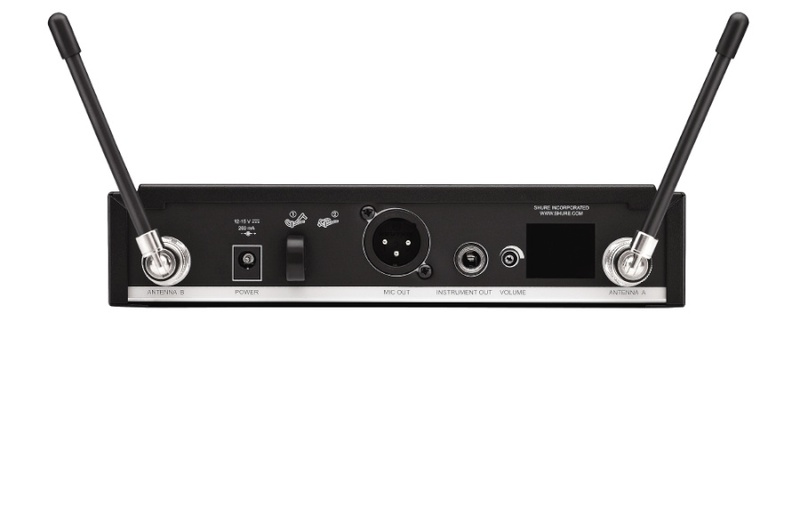 With a single push of a button, the BLX24R/SM58's receiver will scan all available frequencies and set itself to the clearest one. No more guess work required. Once the receiver has been set, turn on the microphone and set it to the same group and channel. Done. The BLX4R receiver comes with rack-mount ears and removable rear antennas. 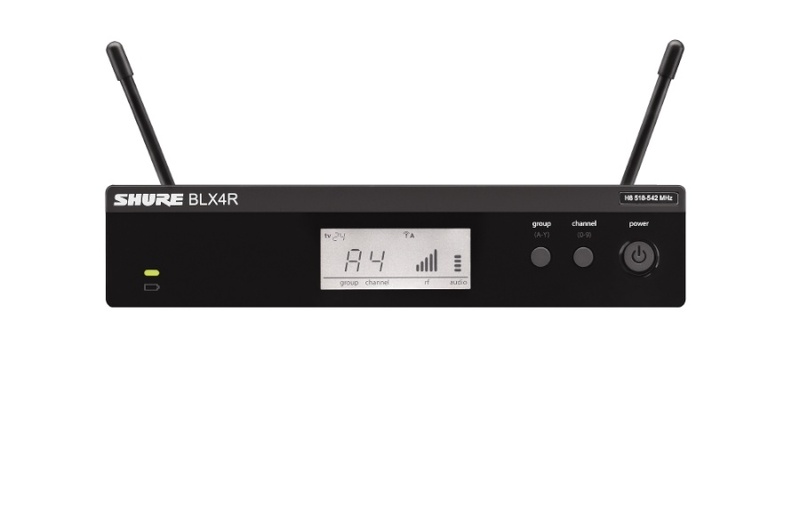 Not only that, it can be used with Shure's SWB844 antenna distribution system when you're using 3 or 4 systems at a simultaneously. If you're only using one system, but still want to mount it in an equipment rack, the BLX24R/SM58 also includes front mounting antenna hardware so you can get the antennas out of the back of the rack. The Shure BLX24R/SM58's ergonomic lightweight handheld transmitter is durable and feels great in the hand as you hold it. The transmitter comes equipped with the legendary SM58 microphone capsule for amazing warm sound quality night after night. The BLX2 handheld transmitter runs off two AA batteries, providing up to 14 hours of continuous operation on a single set of alkaline batteries. Unscrew the battery compartment and you'll find an easy to read LCD display showing the set group and channel. A couple button pushes to set the transmitter to the receiver's same group and channel and you're ready to rock!